Home page > Events > Talks & Ideas > Café Histoire: les "trois glorieuses"
Café Histoire: les "trois glorieuses"
If 1789 was a real thunderclap, the 1830 revolution was not much picked up around the country. And yet on 27, 28 and 29 July 1830, Paris lives the events of 14 July 1789 all over again. Three days of revolution that will mark the shift from one constitutional monarchy to the half-baked July Monarchy. Avoid the queue at the Box Office by booking in advance! 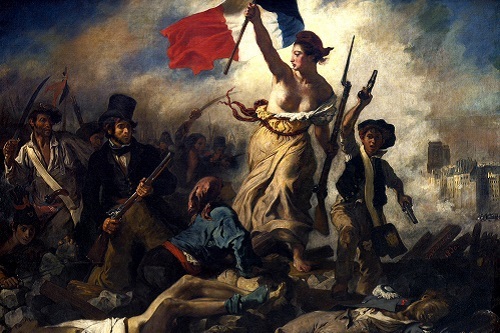 Image: « La Liberté guidant le people » by Eugène Delacroix (1830), Louvres Museum, Paris.